Sisters represent so much more than just themselves. It is both a big responsibility but also one that invites lots of reflective and joyful experiences. Speaking about one of those experiences, here is a guest post from Sister Meg Kymes, a Daughter of Charity. 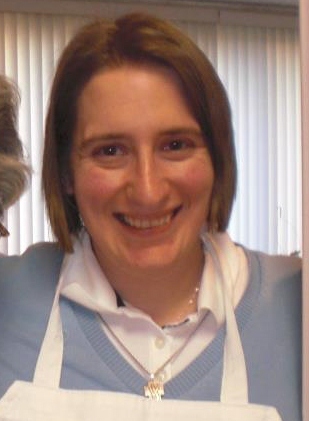 She currently lives in Emmitsburg, Maryland where she works at Mother Seton School and the Seton Center. “This is the Daughters of Charity convent.” I replied. “Really? What community?” He thought for a moment, but could not remember. I signed for the package told him good-bye and God Bless then returned to class. When I began considering religious life, one of the thoughts that kept coming back to me was I wanted to be part of something larger than me. I am always amazed and proud at community gatherings and when we receive letters from our superiors in Paris and Rome when I hear about all the great work that is being done for our brothers and sisters living in poverty all around the world. It’s beautiful to know that somewhere in the world there are women who like me are given to God, living in community, and serving those living in poverty. This is great,Sister Meg, and will happen often in your life. A humbling thing to have people trust in your prayers. Thanks for writing this. But How Do You Feel About It?